Canadian Academic Extradited to France on Fake Terrorism Charges. 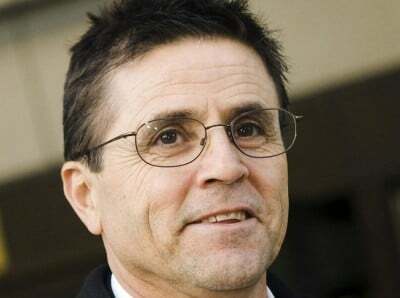 Prevent Hassan Diab’s Wrongful Conviction! In a highly positive development for Dr. Hassan Diab, a French investigative judge (juge d’instruction) found “consistent evidence” supporting Hassan’s innocence. Hassan has been in pre-trial detention in France since he was extradited from Canada two years ago today for investigation into a 1980 bombing of a Paris synagogue. “At this stage of the inquiry, there exists consistent evidence tending to establish that Hassan Diab was in Beirut late September, early October 1980… this calls into question information implicating him in the attack since this relies on his presence in France during this period”, wrote the French investigative judge in an order released on October 27, 2016. The judge immediately ordered the release of Dr. Diab on bail. He issued a second order on the same day stating that there are no grounds for further detention of Hassan. But, in a deeply disappointing move, the prosecutor blocked Hassan’s release, and the Court of Appeal overruled the investigative judge’s orders and renewed Hassan’s detention. Hassan’s lawyers filed an appeal to France’s Court of Cassation. Earlier this year, in May 2016, Hassan was ordered released on bail by the investigative judge and the judge of freedom and detention. He spent ten days out on bail in Paris before his release order was overturned by the same panel of Court of Appeal judges which has repeatedly denied him bail. Hassan was extradited from Canada based on extremely contested and weak evidence. Justice Maranger, the Canadian extradition judge, stated that “the prospects of conviction in the context of a fair trial seem unlikely”, but said his interpretation of Canada’s extradition law left him no choice but to commit Hassan to extradition. Today marks 731 days away from home for Dr. Hassan Diab. Two years ago, on November 14, 2014, Hassan was extradited from Canada to France based on a handwriting analysis report that the Canadian extradition judge described as “convoluted, very confusing, with conclusions that are suspect”. Hassan continues to languish in a prison thousands of kilometres away from his family and community in Canada. Hassan has repeatedly denied all involvement in the bombing and strongly condemned the attack. We are deeply concerned that Hassan may be wrongfully convicted under France’s anti-terrorism laws, based on deeply flawed handwriting analysis and the use of secret, unsourced intelligence. Hassan must receive a fair process, so he has a real chance to fight for justice and return to his home in Canada. We must make sure that the real perpetrators of the rue Copernic crime are brought to justice. Making an innocent man pay for a crime he did not commit will only further the tragedy. Despite the hardship, Hassan remains hopeful that he will be exonerated and will return to his home in Canada. Hassan is very grateful for your continued support. Your support gives Hassan a real chance for justice and hope to return home! Please write to the Minister of Foreign Affairs, Mr. Stéphane Dion, and the Minister of Justice, Ms. Jody Wilson-Raybould, and urge them to raise Hassan’s case with their counterparts in France, and make sure that Hassan is promptly released and returned to his home in Canada. At the very least, the deeply flawed handwriting analysis and unsourced intelligence, which were withdrawn from the Canadian extradition proceedings, should not be used against Hassan in France. Using these discredited elements against Hassan undermines his right to a fair legal process and is a recipe for wrongful conviction. Please share your communication with [email protected]. Thank you.